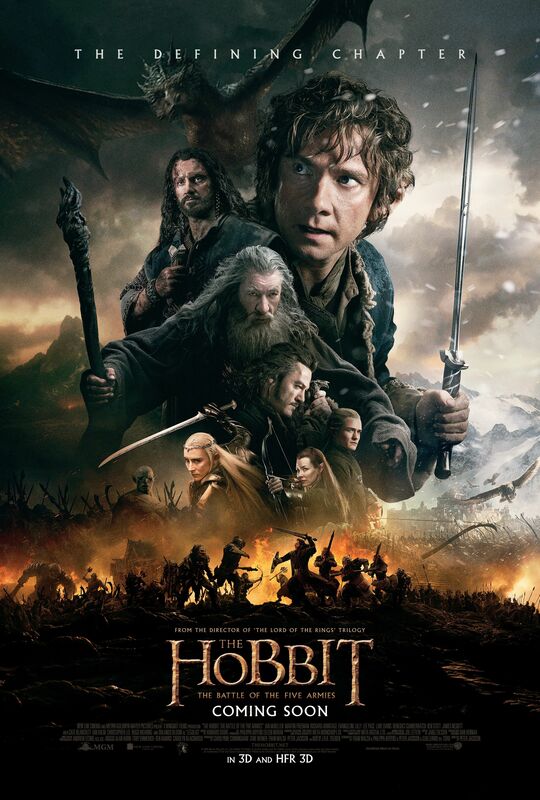 Here’s a high-resolution version of the international poster for The Hobbit: The Battle of the Five Armies. Just click the image below to get the largest version. 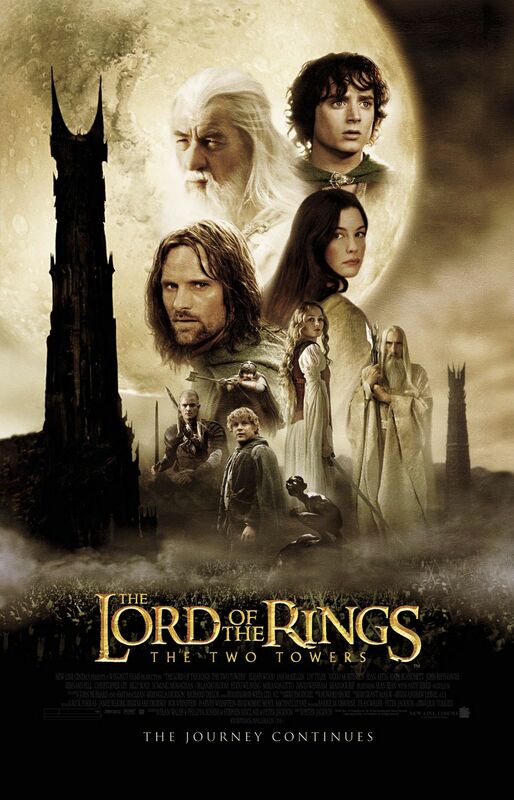 It’s actually quite reminiscent a couple of examples of poster art used to promote The Two Towers. Gandalf has his old staff, but not Glamdring. Bard is holding the sword of Girion. Thorin looks oddly similar Viggo Mortensen during The Towers Towers Helm’s Deep sequence. None of the other White Council members are featured. All three of the key Mirkwood elves are there. The lower panorama pits the key dwarves of the Company against secondary Gundabad Orcs. Azog is at the far left beside the large troll. Apart from the solitary dwarf (who I am pretty isn’t Dain) trailing Thorin and Co, the support lined up on the right seems to be solely elves of Mirkwood. Azog definitely has a sword strapped to his right arm in place of the hook/claw. I can’t believe I missed that in the banners we posted the other week — it’s so obvious in retrospect. What on Middle-earth is going on there?